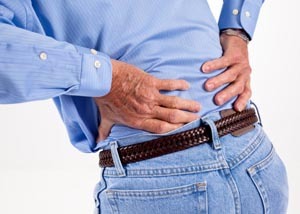 Back pain is the most frequent cause of activity limitation in people under 45 years of age. Yet back pain and neck pain have an exact cause that can be remedied with treatment. Whenever muscles or ligaments are overexerted, strained or sprained swelling and pain can results. If you have been suffering from neck or lower back pain contact our office today to schedule an appointment.